Sometimes there are things that you really want to buy but you just don’t get them for some reason or another. My relationship with this poster was like that. So, I did it. It’s finally mine ours. It needs a little styling love in front of it but for now there it is displayed with a big TV and a cable box. 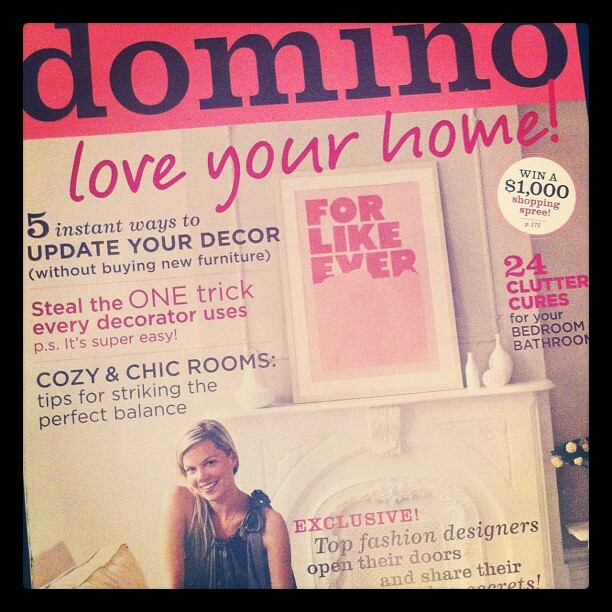 (Sidenote: Have you ever seen a cable box in a decorating magazine or shelter blog? Nope. Where is everyone hiding them?) 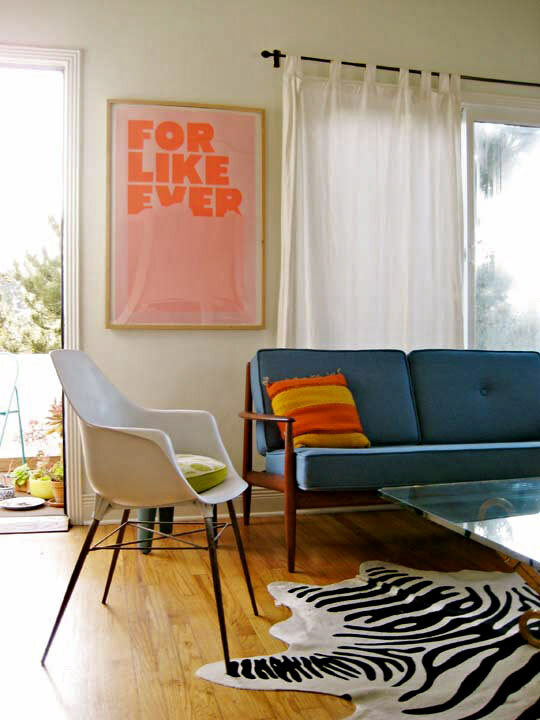 UPDATE: I saw one on Habitually Chic! Thanks, Heather, for being honest and not hiding it! Not quite the beautiful accompaniment I always believed it would be surrounded by but it’s a work in progress. (Which is just how I like my home. I mean, what will I do when the renovations and decorating are done?) Some might think a master bedroom should be serene and romantic. 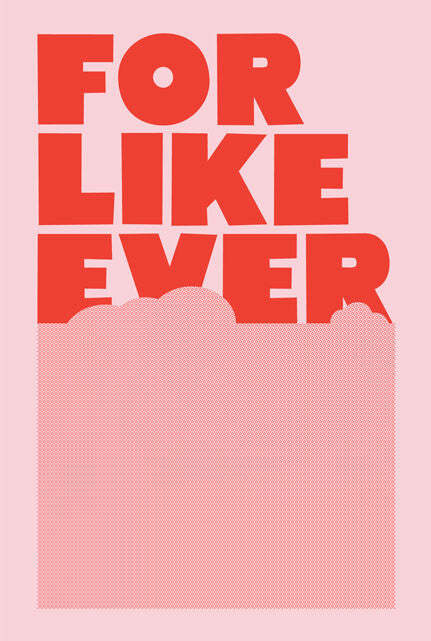 But what’s more romantic than the sentiment that I will love Pablo “for like ever”? So, what do you think? 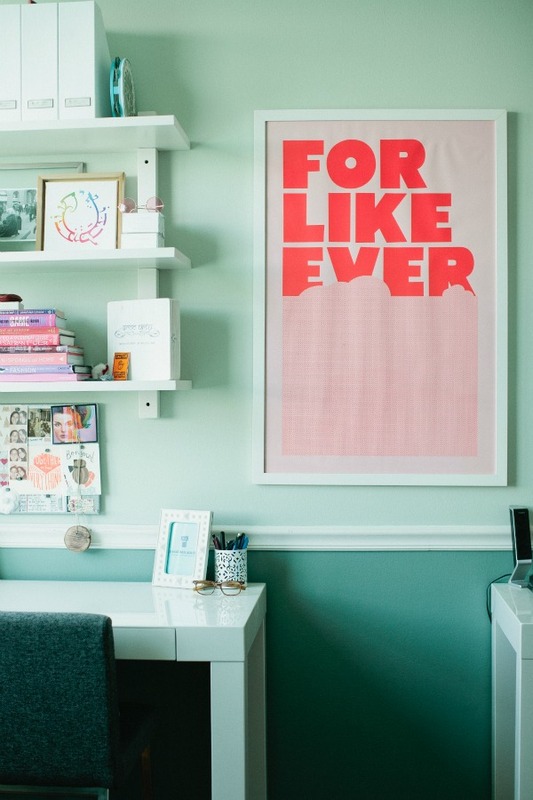 Could you put a pink poster in a “grown-up” room? Would the man in your life be okay with that? I’m so glad mine is! P.S. This is the third in a series of Master Bedroom posts. 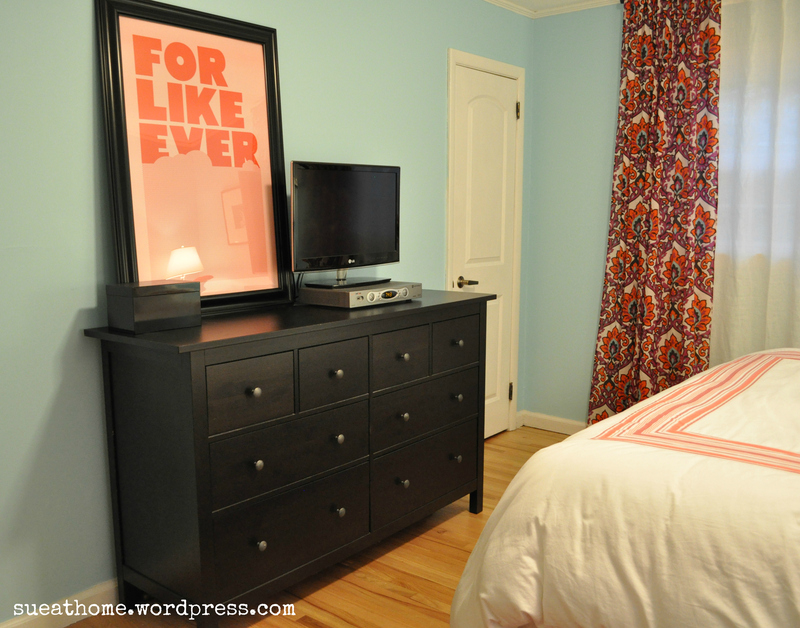 Check out the inpiration here and the DIY curtains here. And stay tuned for more to come. Better yet, subscribe to Sue at Home!